65 years ago, Angelone's Florist was established by James and Lena Angelone. Today, Angelone's Florist has grown into one of the area's largest full service florist managed and owned by their son Lynn Angelone. Angelone's has expanded their line to also include The Bountiful Basket, a gourmet line of gift and fruit baskets. Then in 2007 we expanded again, adding Angelone's Corporate Flowers. We service many large companies on a weekly basis providing them with flowers, plants and customized gourmet basket for all their occasions such as condolence, birthday, get well and service anniversaries. We take pride and passion in every detail of every order that our customers place with us and also stock the largest inventory of fresh cut flowers that are flown in daily from around the world. Please stop by our store or shop online to view the many beautiful and affordable arrangements or call us and one of our staff members will gladly help you pick out a beautiful gift. Let Angelone's Florist be your first choice for flowers. 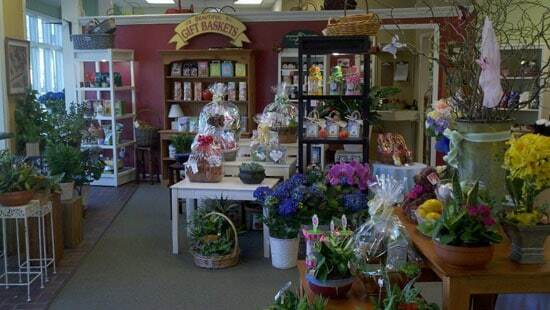 Angelone's Florist is open from 9:00 a.m. to 6:00 p.m. Monday through Friday and 9:00 a.m. to 2:00 p.m. on Saturday. Branchburg, Bridgewater, Hillsborough, Neshanic, Raritan, Readington, Somerville, Whitehouse, Bound Brook, East Brunswick, Edison, Highland Park, Middlesex, New Brunswick, Piscataway and Somerset. We guarantee 100% satisfaction on all floral and gift items. If you are not completely satisfied, please contact our Customer Service Department at 908-725-5078. We will refund your payment method within 3 business days or replace your bouquet the same day or as soon as possible on the next business day.